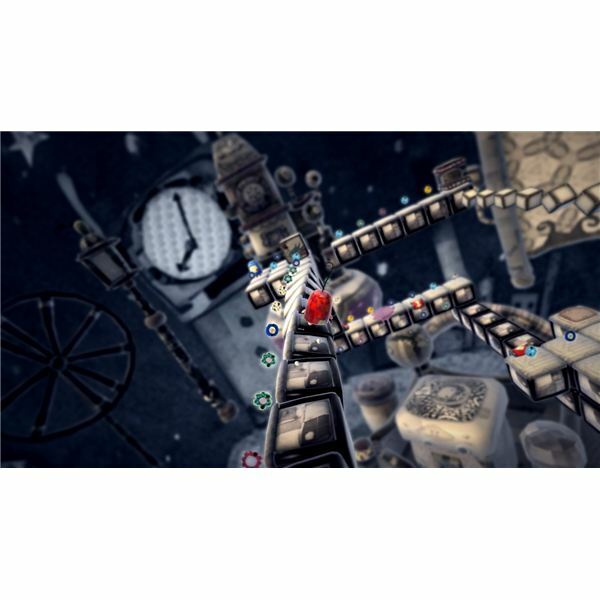 The ilomilo last puzzle is one that throws the proverbial kitchen sink at you. Replete with pretty much every mechanic already used throughout the game, the ilomilo last puzzle is an homage to the rest of the four chapters already played and completed. This article provides a guide and walkthrough for the last level of the game; with a step-by-step description of what you must do in order to complete it. It is at this writer’s behest that you play the game to completion without the help of this guide or at least retry the later levels until you are safe in the knowledge you need a guide to finish them. Firstly, move forward with ilo (red) and pick up the dark cube in front of the starting position. Place the dark cube to the left of the retractable box and wait for the second mechanical stick to move ilo onto the path. Run up the long path until ilo reaches an impasse. Place the dark cube on the furthest right block and run across the glowing path. Progress along the next straight path until ilo moves upwards onto a set of three blocks. Wait for the stick to place a cube in front of ilo, then walk onto it and collect the extendable cube. Place the cube to the left of ilo and run across it. When the stick extends again, ilo can pick up another extendable cube, placing it in front of ilo and waiting for a stick on the opposite side to pull him away. Once this is accomplished, walk across the straight path that curves around itself, then up the arrowed blocks until ilo finally reaches the train. 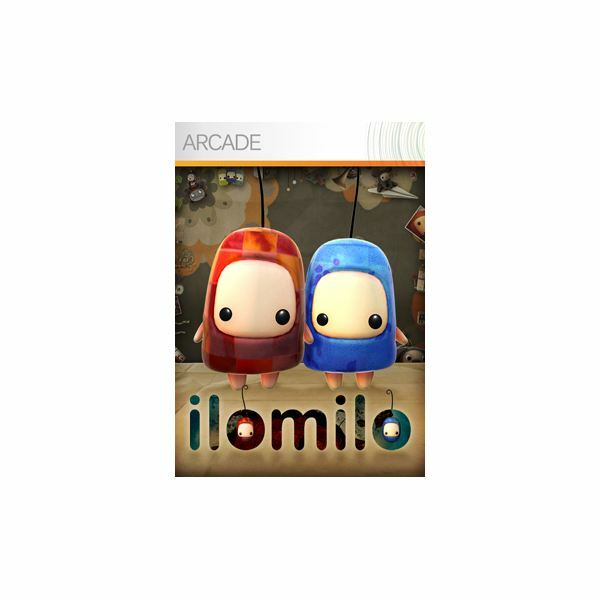 The red ilo will also collect a record before entering it and finish his portion of this ilomilo last puzzle. Now press X and take control of milo (blue) for the first time. Pick up the cube to the left of the camera and run across the sock-like creatures on the ground. These will take the cube milo is carrying and throw it behind him, onto a platform that rises when you go near it. Do this for both of the cubes and the cubic elephant can cross the blocks above you. The elephant will step on a button that raises the cube currently blocking obstructing milo. Now take milo across the circular path and pick up the cube at the very end of it. Place the cube to right, walk across onto the two blocked ledge and pick the cube back up. Move to the next block on the ledge and place the cube again, this time picking up the cube blocking milo’s path. Now walk up the arrowed block, place the first cube out of the way, walk back get the second cube and place them both as a bridge across the two spaces. Repeat this after landing on a single block then move up the arrowed block. Once here, milo will need to repeat the outlined process several more times before reaching the top of this construct. It is tedious work but isn’t too taxing mentally. Moving onto the straight path after this, milo can use a spring to reach the next portion of the level. Lastly — before the end of the game and the end of the ilomilo last puzzle — players will need to navigate a series of springs laid out in a puzzle. When moving downwards and off the arrowed block, go directly left and follow the path forward. Continue around until you hit the second spring and turn to the left. Continue up this path, turn right twice and end up on a block next to a spring. From there, go forward, right, forward, right and forward to finish the puzzle. Take milo around the corner — collecting the photograph as you do so — and enter the train to complete the ilomilo last puzzle. Enjoy the beautiful ending!